The new Toyota Supra: What’s the deal? Where is it? We’ve seen that camo’d mule running around now since people could still tolerate Taylor Swift, and yet no concept or production car has surfaced. All speculation about its future aside, we know where it’s been lately: chilling in Italy with some BMWs. 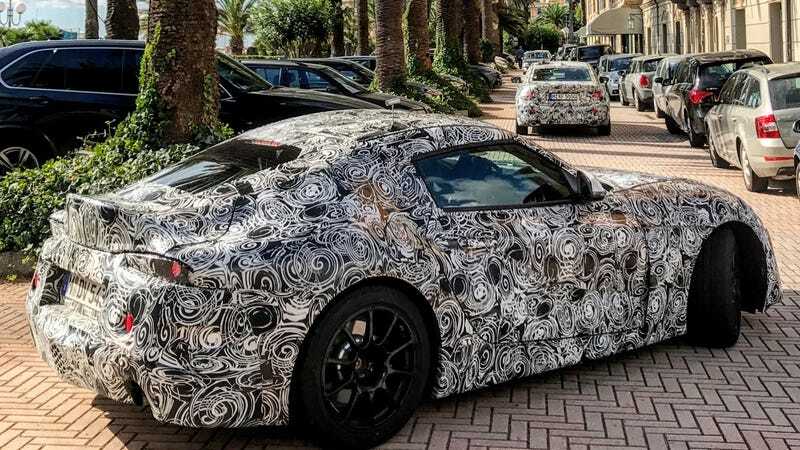 Photographer Lucas Scarfone captured a few shots of the new car at the Grand Hotel in Arenzano, along with one camo’d up sedan that I am guessing is the next 3 Series and two roadsters destined to be the next Z4. Here’s hoping that ends up looking as good as the concept did. Hope you and your friends had a nice time, Supra. See you in America soon?